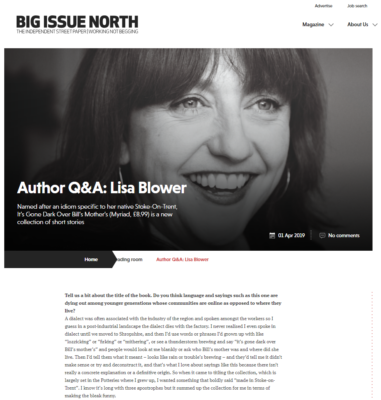 Lisa Blower is the author of choice in the latest Big Issue North. Read online here or buy a copy from a local vendor in the North West, Yorkshire or Humber. It’s Gone Dark Over Bill’s Mother’s is published this month – preorder your copy here.